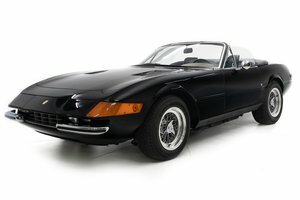 The London Motor Show car of 1973 - This Ferrari 365 GTB/4 Daytona is a particularly special example of Ferrari’s ultimate Grand Tourer. 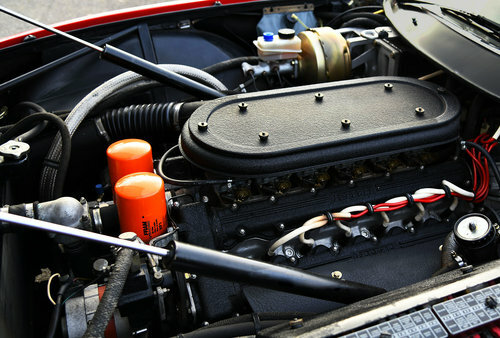 This vehicle holds Classiche Certification and is 1 of only 158 right-hand-drive models produced. 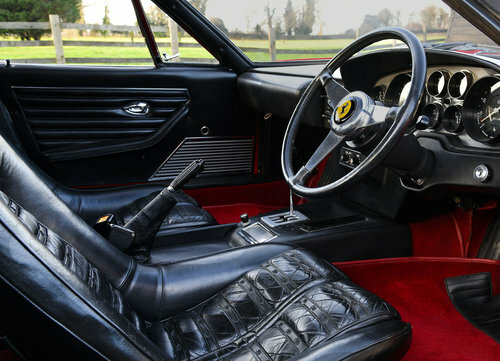 It is finished in its original Rosso Chiaro on Nero leather interior with Rosso Carpets, as it left the factory. 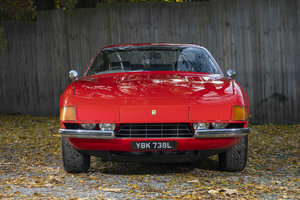 Registered in 1974, this Daytona was rarely driven by its initial owner until 1977, when ownership was transferred to Paper UN LTD in London. Maranello Concessionaires then sold this vehicle in 1986; it was around this time that it was fitted with the wider 9 Inch rear wheels, giving it more sporting stance. Stored for the majority of its life, this vehicle only covered 300 miles between 2006 and 2012. 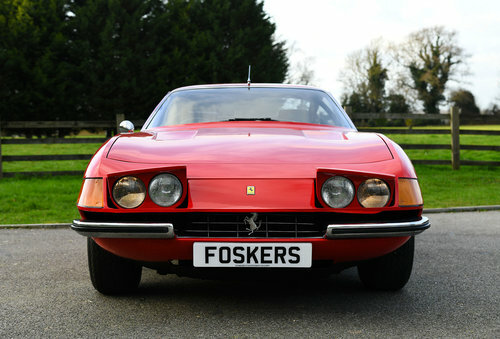 Since 2013 Foskers have continued with maintenance including suspension, engine detailing and the last major service. 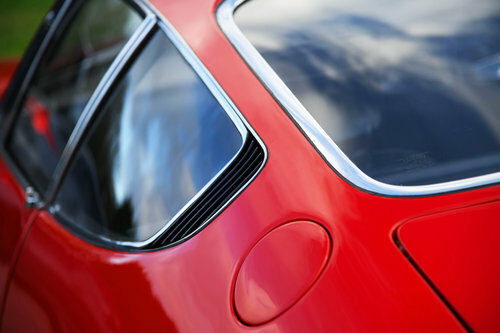 Overall, our car presents beautifully in its factory colours and with an well-known and extensive history folder, only briefly touched upon here, and 51,000 miles on the odometer. Accompanying the car are its original handbook, leather wallet and tool case. 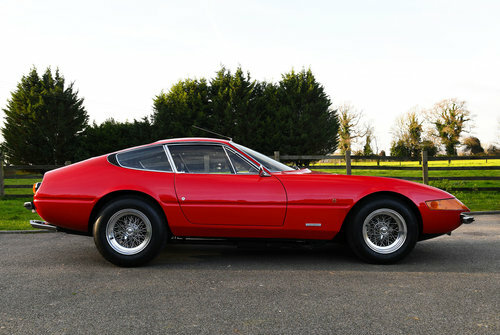 The car is now fitted with desirable Wire Borrani Wheels, which are in excellent condition. 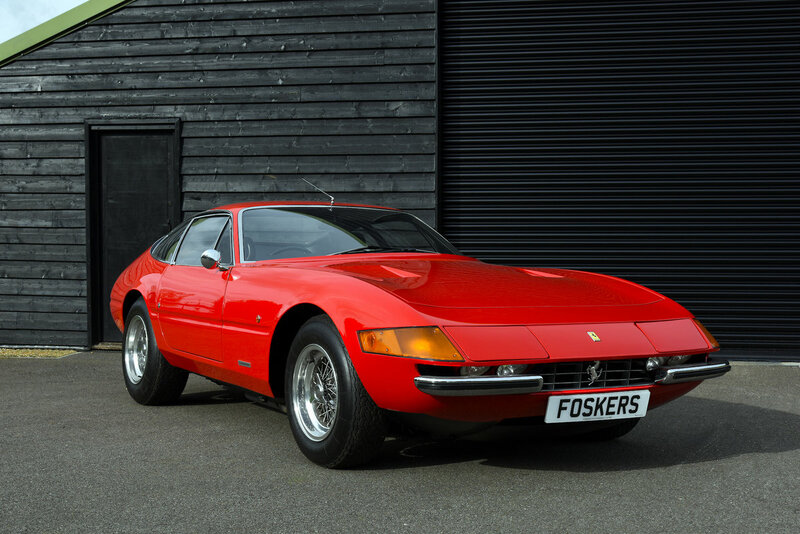 For more information about this Ferrari 365 GTB/4 for sale in Kent, or to arrange an appointment, please contact our sales team on 01474 874555 or 07515 430430.